I’ve been on this organic/natural kick lately so when I went to the liquor store I wanted to check out what types of organic libations existed. After checking all the sections, I only noticed that two Vodka’s are going after the “Green” & “Organic” trends. 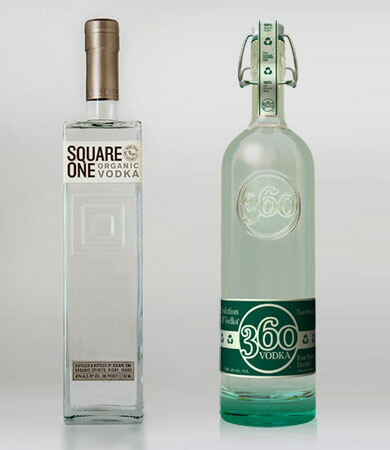 360 Vodka is going after the folks that are trying to reduce their carbon footprint. The Earth Friendly Distilling Co uses American Grain and recycled materials for their bottle and labels/packaging. Of course, they are also claim that their vodka is finely crafted since it’s “quadruple distilled and five times filtered”. If you are on the Organic craze (like me) then the Eco-chic Square One is for you. They claim to be the first certified organic 100% American rye vodka and environmentally friendly. Let me know if anyone has had these before… I’d love to know how they compare to the standards, like Grey Goose and Ketel One. The Next Half-Million Dollar Idea — MegaPixelsForSale.com?